At some point or another, every person has felt tied down to something. It could be something that makes you insecure, unwanted, unknown, unloved. Whether it be a name you were called growing up, a label or group people identified you in, or if it was something you pushed yourself into because of your circumstances, we have all felt the heaviness of those harsh thoughts. Growing up as a deaf person in a hearing world, Emma often felt abandoned and lonely. She relates her story of rejection to a passage in Mark where Jesus casts out demons and rebukes them to the swine. 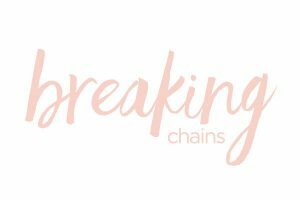 Like the great love Jesus showed to the demon-possessed man, Emma reflects on how Jesus freed her from the chains that bound her hands and feet. Emma’s story is uplifting and a reminder that no matter what may be holding you back—tying you down—that freedom is just a call away.